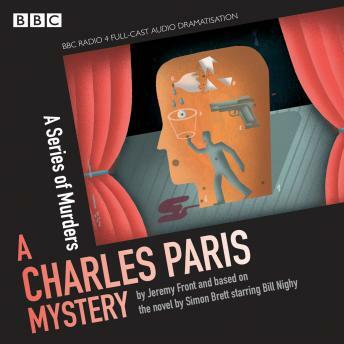 Charles Paris is thrilled - he's landed a nice juicy part playing Sergeant Collins in the TV detective series, 'The Stanislaus Braid Mysteries', and his estranged wife Frances seems to be on the brink of taking him back. But filming turns out to be a tortuous process, with pompous star Russell Bentley demanding numerous retakes and irascible author Winifred Railton constantly interrupting. To cap it all, nubile actress Lisa Stokes is crushed to death on set - and Charles finds her body. It seems like a straightforward accident, but Charles can't shake the suspicion that she was murdered. Can he find the killer, stay away from the booze and the women, and win back his wife?